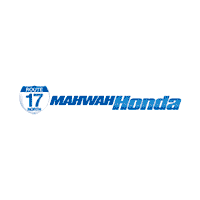 Mahwah Honda is one of the premier dealerships of Bergen County. Our commitment to customer service is second to none. We offer one of the most comprehensive parts and service departments in the automotive industry, offering loaners to all of our service customers. We have a strong and committed sales staff with many years of experience satisfying our customers’ needs. Feel free to browse our inventory online, request more information about vehicles, set up a test drive or inquire about financing! Our primary concern is the satisfaction of our customers. Our online dealership was created to enhance the buying experience for each and every one of our internet customers. Learn more about why customers in the area choose Mahwah Honda, and please feel free to call us or send us an email using the contact us page. If you don’t see what you are looking for, use our Vehicle Finder Service and we will let you know when vehicles arrive that match your search! Or if you would rather discuss your options with our friendly sales staff you can call at 201-529-5700 or stop in. We look forward to serving you!